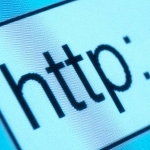 CheckShortURL suggests several safe browsing tools to verify the integrity of your shortened links: thanks to WOT (Web Of Trust), SiteAdvisor, Google, Sucuri, Norton or Browser Defender, you will have a clue on how safe your short URLs are (detecting malicious activities such as phishing attack, malware, virus, or inappropriate content such as not safe for work, spam...). In the last 24 hours, you have expanded 0 short URLs and have checked availability for 0 keywords, using our CheckShortURL customizer tool. By the way, we also suggest you to visit our special stats page that is the best way to know many other numbers about our activities. You should give a try to our tool that lets you know if a specific keyword or username is already taken or not. 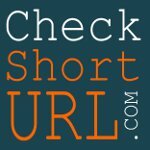 CheckShortURL gives a complete analyze made on a bench of URL shorteners providing this alias option. Consider that any time you include your targeted keyword, it shows up in the SERPs, is bolded, stands out more, and in the meantime, are more user-friendly!